Data Backup is definitely the ugly duckling of digital technology. Data backup is similar to the life of the lowly and abused Cinderella before she lucks out and goes to the big ball. Data backup is like the homely and shy looking girl that none of the boys will ask to dance. Data backup is like the driver who never wears a seatbelt because he’s never been in a car crash, so he sees no need to wear one. In doing my research for this post, I asked myself, “In light of the overall general lack of interest in this topic, why have you written so many blog posts on this subject?” Here at DTS InfoTech, we’ve written thirty-eight posts that focus on data backup and disaster recovery to be exact! This post is number thirty-nine. Why so many posts on backing up your data? The simple answer is: Because it’s so important. In real life, DTS InfoTech has restored lost data for many companies. We’ve seen first-hand the emotional cost of data that has disappeared; data never to be found again. 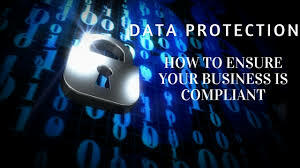 Preventing that emotional roller coaster ride is worth the prevention (data backup) alone and we haven’t even mentioned the reality of saving your business and potentially your way of life because the data was saved and successfully restored. As an IT Services company, we experience first-hand the comments and attitudes of Data Backup being the ugly duckling of technology until we were called in to restore the data that had been lost. After we successfully restored the data, from backup, the data backup frowns had suddenly become a graceful white swan in all its beauty. I’m being serious here, no exaggeration. Data backup was Cinderella until the prince took one look at her and she became the undisputed star of the ball. Data backup was the homely looking girl that none of the boys asked to dance. Until she made one, unafraid young boy, into a gentleman and hero by dancing with her. Data backup was like the driver who never wore a seat belt. Until a seat belt saved lives in one vehicle, while lives were tragically lost in the other vehicle because they were not wearing seat belts. 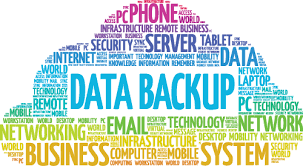 If you ever experience the loss of data at your business, you’ll wish you would have taken the time and invested in data backup technology. Why? Because once the data is gone, it’s gone forever. And if you don’t have data at your business, chances are you won’t have a business in the future. A true data backup and recovery story . . .
A long time ago, in a place not very far from here, I was involved in restoring data from old backup tapes so the company I was working for at that time could defend a manufacturing patent in a courthouse in downtown, Portland, Oregon. I personally had worked on thousands of them, before I became the IT guy, so I knew the product very well. I picked it up and carefully looked at it, but I was confused when I didn’t see our company name on it. The name that was there, was a competitor of ours. This didn’t look right at all. With a puzzled look on my face, I looked at the president again. I sent the old tapes to Ontrack, in Minnesota, which is now Kroll Ontrack. They specialize in data recovery. NASA sent the flight recorder box from the Space Shuttle Challenger disaster to this company, and they recovered over 95% of the data that was found on that flight recorder box, at the bottom of the ocean. Ontrack called me to say they could recover most of our data, but not all of the data, because magnetic backup tapes degrade over time and these tapes were old. They said recovery would take them 5 days and cost $3,150.00. We gladly accepted their price and turn around. A week later, they sent us the recovered data and we were able to find and restore the original “date stamped” design notes and prints. A few weeks later, in downtown Portland, in the 4th Judicial District Court of Oregon, the lawyers for our company submitted these “date stamped” documents. When the judge announced his decision and the gavel came down, our competitor was found guilty of patent infringement. That’s the best data backup and recovery story I know of. I just happened to be there. 1. I had zero experience and no desire to change backup tapes. Maybe you’re the same? 2. I felt ambushed into doing a job that “at the time” I wanted no part of. Maybe you’re the same? My point is this, it doesn’t matter how you feel about data backup; you’d better do it! So when I talk about Data Backup and Disaster Recovery, the reason I want you to know about my story is that it doesn’t matter if you understand or even care about the technology behind restoring lost data. I didn’t understand or really care about it either. But having the technology saved the day for my company and me. Don’t look at it as something you don’t want to deal with and therefore you won’t and you put it off until you forget about it. Have a reputable company come in and take care of the technology part for you. It really is that simple. And if a time arises that you need to restore data, you’ll be able too and you be really glad you were wearing your seat belt, also known as data backup. To help you understand, and learn more about this neglected topic of data backup and disaster recovery, as mentioned, we have written many blog posts about this. They are listed below. Just start reading them. I know they will help you. Data Backup blog posts . . .
How you prepare can mean the difference between business as usual and costly downtime: Do You Need Backup? “We’ve been hacked.” This article is a must read for all small businesses. It’s about electronic hackers and a small business in Chicago that tragically was successfully hacked: Hackers Targeting Small Businesses: Now they’re after the rest of us! We’re really good at this data backup thing. Seriously, we are. On the other hand, most small businesses do not have the technical resources or time to understand all this geek stuff. If this describes you, we can help. But if you don’t really believe this stuff, first, you will have to pull your head out of the sand.